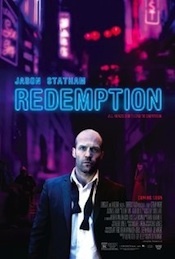 Dirty Pretty Things and Eastern Promises writer Steven Knight’s directorial debut stars Jason Statham as a renegade special ops soldier turned avenging vigilante in the heart of London’s seedy underworld. Trading the florid, classical stylings of his Pride and Prejudice, Atonement and Anna Karenina scores for the grittier intonations of a modern crime film, Dario Marianelli takes an uncharacteristically subdued approach – less percussive and more overtly emotional than is typical for the genre. Tracks like “Getting Better,” with its nervous yet soulful strings and tentative, suspenseful bass highlight the film’s rich tapestry of conflicted, constrained emotions. Even more traditionally percussive and electronic-industrial tracks like “Do You Want to Work” and “Joey’s Career” evoke a kind of colorful, interior melancholy whereas “Nun in Red” and “At the Ballet” opt for the pure, unreconstructed emotional power of the orchestra. Opens with expressive strings over an electronic metallic percussion bed for a tension-filled tone. A grieving, mournful tone is created by a piano and cello solo over low ominous drones, high strings, and crash cymbal hits. Opens with rhythmic electronics joined by staccato strings and electronic percussion for a suspenseful atmosphere. An emotional atmosphere created by a piano solo over staccato strings, expressive legato strings, and an electronic percussion bed. Opens with expressive strings over joined by an electronic percussion bed and ominous drones for a mysterious, dramatic atmosphere. Opens with a piano solo over solo strings joined by an electronic percussion bed, staccato strings, and rhythmic synths for a pensive atmosphere. Opens with an electric cello solo over drones for a mournful atmosphere; at 1:09 tone becomes dark as staccato strings, electronic percussion, and synths enter. An ambient harp solo joined by dramatic, expressive strings come together to create a melancholy, somber tone. Begins with a cello solo over synths and staccato strings for a dramatic tone; at 0:59 tone becomes heartfelt as an electric keyboard solo enters. A mysterious, suspenseful atmosphere is created by an electric solo violin, sustained strings, a piano, and brushed percussion. Opens with a piano solo joined by expressive strings for an emotional atmosphere; at 0:36 tone begins to gradually build and become increasingly hopeful. A heartfelt tone is created by a piano and harp solo over expressive strings and electronic percussion. Low dark tremolo strings can be heard throughout. Opens with an emotional atmosphere created by an electric piano and violin solo over expressive strings. At 3:43 tone gradually builds to a climactic end. An error occurred while preparing the download.